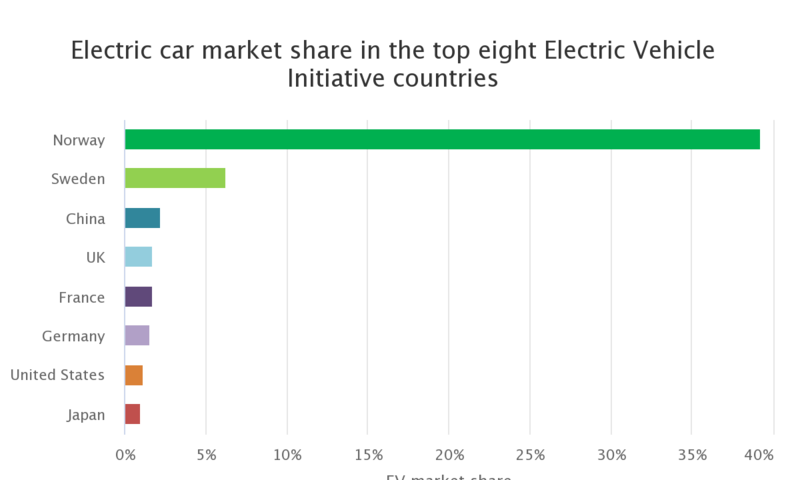 Though China still makes up the lion's share of global electric vehicle sales. But, by pure volume, Norway’s EV market is small change in comparison to China. Dwarfing it’s Scandanavian counterpart, it claimed 40% of the EV market in 2017 - up from just over 10% in 2013. 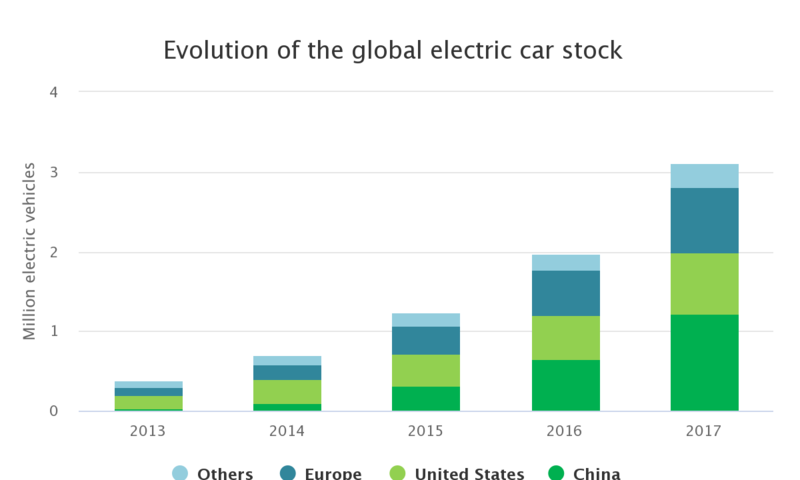 Electric vehicles accounted for 4% of all 28.1 million automobiles sold in China last year - and ambitious targets see the government setting its sights on EVs making up 10% of all passenger car sales in 2019, rising to 12% in 2020.